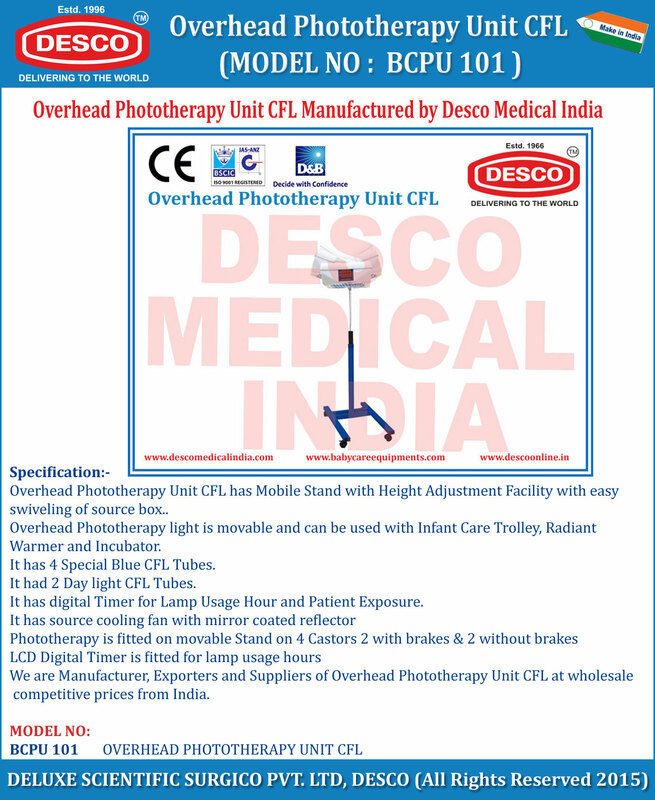 Overhead Phototherapy Unit CFL has Mobile Stand with Height Adjustment Facility with easy swiveling of source box.. Overhead Phototherapy light is movable and can be used with Infant Care Trolley, Radiant Warmer and Incubator. It has 4 Special Blue CFL Tubes. It had 2 Day light CFL Tubes. It has digital Timer for Lamp Usage Hour and Patient Exposure. We are Manufacturer, Exporters and Suppliers of Overhead Phototherapy Unit CFL at wholesale competitive prices from India.